Persuasive copywriting is a big part of what Copyblogger is all about. In this episode, I pull a few posts out of our archive, to focus on some of the most important elements of good copywriting. I’ll also give you a quick tip from each one right in the podcast … but to get the most out of this, you’ll want to read through the posts as well. I wrote this post for two reasons — one, if you’re, let’s say, a business owner who’s good at writing, to let you know when you should bring in a pro. And two, if you are a pro, this is a piece you can send to clients or potential clients to let them know just why it is you charge money for what you do. So, if you are a writer or if you want to be a better writer, particularly for web copy, today I’m going to cover five points of focus for you. 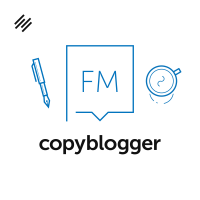 Copyblogger as a blog was known for headline advice from the very, very early days, for one reason: If the headline is weak, your content won’t get shared which means it won’t get consumed which means it won’t help you accomplish your goals. When Brian started writing about that on Copyblogger, the environment was different. We didn’t have Buzzfeed, and overall we didn’t have the level of sophistication about the importance of headlines. It’s so much more important now. You’re competing with a lot of people who are pros at headlines, and you have to be able to compete on that playing field. We have a free ebook for you in the member library, go to MENU > FREE! MY COPYBLOGGER on the site. It’s free, you should go get it, and you should spend the time between now and the next podcast practicing headlines. Even if you’re already great. I’ll give you two to get started but don’t shortchange yourself, go grab the ebook. Make your headlines clear. Cleverness, puns, and confusion won’t get clicks. Make sure the person can see a benefit of clicking. Sometimes it’s dumb, like “Which of the 7 Dwarfs are you,” and sometimes it’s smart, like 10 Ways to Build Authority as an Online Writer. But let people know that the content on the other side of the click will be worth their time and attention. Bonus third point: Actually make the content worth their time and attention. 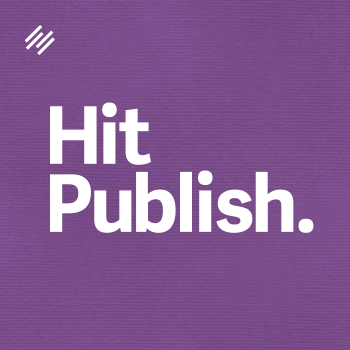 Don’t put great headlines on crummy content that fails to deliver on the promise. This has always been important advice, but it’s extra important now because people’s attention spans are so fragile and finite today. Brian Clark has a dandy classic Copyblogger post with five strong, proven ways to get the party started quickly. You’ll be able to use them again and again, and you’ll start seeing them in the content that captures your attention. My #1 tip on this is, on the Copyblogger blog, we use a More tag. That means you get a teaser, then you click the “More” link to read the full post. Whether or not you use this on your own site — put an imaginary “More” tag on your content after the first few lines. Be honest with yourself — would you click? What could you do to create a stronger desire there? A lot of good writers shy away from the proven techniques like the numbered list post, which is now called by the most horrible noun ever coined, the Listicle. Please can we stop using that word ever. It’s writer abuse. Don’t start with an arbitrary number and then find points to fill in. Instead, write out what’s important to know about the topic, then assign the number. If it turns out to be a weird number, like 17 or 6, that can be great. Excellent professional copywriters know that weird numbers often work better to capture attention. “10” is boring. “13” is interesting. “25” is boring. “27” is interesting. It feels less padded, less arbitrary. Also, make your last number a call to action that moves to whatever your goal is for the post. Good persuasion always combines emotion and logic. You need to get into the emotional benefits of doing what you’re trying to persuade them to do, then justify it with logic. This is old-timey copywriter stuff, again. The interesting thing is, it’s very much validated by neuroscience. We actually, physiologically do make decisions first with what we think of as “emotions.” But if we can’t give ourselves logical reasons — justifications — to move forward, there’s a real possibility we’ll balk, because that creates fear and uncertainty. Again, I’ve got two posts for you with some more details. This one is a favorite of mine because it’s so fast to fix, and it can make such a difference. If you want your audience to do something, tell them exactly what to do. Clearly, simply, and succinctly. Again, sometimes good writers will shy away from this because it “sounds like an infomercial.” It sounds commercial because when you’re paying millions of dollars for infomercial spot, you have to make sales. You don’t have to be cheesy, but you do need to be direct. Don’t hint around and let them connect that last dot. Ask for what you want. And yes, we have a post for that! It’s called How to Be a Copywriting Genius: The Brilliantly Sneaky Tip You Must Learn. And on that note, it’s time for me to make an “Ask” — it really helps the show when you give it a review or a star rating on iTunes, so if you’re an iTunes listener and you feel moved to show us some love there, that really helps us. And a big thank you to everyone who has already left us reviews and ratings, it’s so appreciated. Sonia – I nearly fell out of my chair chuckling when you mentioned how “listicle” is the worst noun ever invented. I really agree – I’ve despised that word since the first time I heard it. By the way, I love this show and your “Pink Haired Marketer” one. Keep up the awesome work!